we require 24 hours’ notice for any additional hours – to ensure staffing levels are maintained. Your child’s place on our waiting list can be guaranteed once you have completed a Booking Form & made the payment of our non-refundable registration fee of £35.00 per family. NB: Please return your registration form ASAP as we are only able to hold places open for 7 days from the date of offer. We are open all year round 52 weeks. 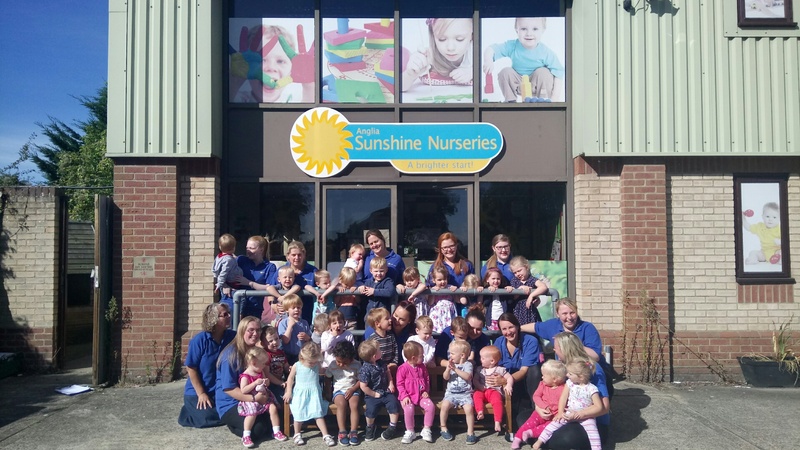 FUNDING: Anglia Sunshine Nurseries offers funding in accordance with County Council’s guidance, for children from the term following their 3rd birthday. We also offer 2-year-old funding if presented with a golden ticket or code. 30 hours subsidised funded places will only be guaranteed once we have received and validated your code. All places are offered subject to availability. If you are entitled to the universal 15 hours or the extended 30 hours, these can be stretched over the full year September to September, you can use all those hours with Anglia Sunshine Nurseries or in partnership with us and another provider. You will need to nominate the universal or extended provider to enable all providers to process the claims and only claim up to your agreed entitlement. All fees are payable by standing order, credit card, bank transfer and/or Child Care Vouchers, and must be received by 1st of each month, in advance for the following month’s fees. For example, August fees invoiced in July should be received by 1st August. The Nursery and Holiday Club will be closed all Bank Holidays (As staff are still paid – full fees/funding will be applicable). We have a very restricted number of term time only places available in the pre-school only. Though we do charge a retainer for holidays of 50% of the fee or a minimum 2 sessions per week. No discounts will be given for holidays or Bank holidays. Fees are still payable if your child is off sick from nursery. For operational purposes, we require written or email notice of holidays or non-attendance. Full paying Fees include freshly prepared meals, snacks, drinks (excluding formula milk) as well as all additional activities. These are all charged for within the daily fee for all funded places. We ask you to bring nappies. Sun cream and any special nappy cream will also need to be supplied for your child. Due to strict child: staff ratio’s, it is important to keep to your child’s session times. Parents and carers who collect their child late or drop of earlier than the start of their session will be charged £8.00 per hour or part thereof. Any children dropped off before the start of their session or picked up AFTER 6.00pm will be charged £15.00 for first 15 minutes or part thereof. Thereafter it is £5.00 for every additional 5 minutes or part thereof. Any extra sessions or days booked will be invoiced separately, and can be paid for by cash, credit card, bank transfer and/or Child Care Vouchers. A late payment charge of £35.00 will automatically be made for any fees received after 1st of the month. A new Booking Form will be required if you wish to confirm a further place for siblings. We require a months’ notice of termination in writing, otherwise full fees will be charged. Fees are reviewed regularly, and any changes will be notified with 1 month’s written notice. We work hard to ensure that we have a great team at Anglia Sunshine Nurseries and on occasion that has led to families offering employment to members of our team, if this were to happen, we will charge a £5,000 introduction fee to cover our recruitment and training costs. Please call us on 01787 371797 for more information or download our Terms and Conditions here.